Many people may not know that it is possible to send emails with your Facebook email to other email addresses like Yahoo, Gmail, MSN, webmails etc. Of course we all know we can use our Facebook email s to exchange messages within Facebook but not many know that you can send emails to yahoo mail, Gmail, MSN, and even Webmails. Today I am going to show you how you can send emails from your Facebook email address to other email networks like Yahoo mail, Gmail, MSN and even Webmails. If you do not already have a Facebook username follow the steps below else skip it to the next heading. Click here to send a request. Now that you have a Facebook username and of course a Facebook email which looks like this username@facebook.com . Click on the message tab then click “”send a new message. Enter the email address you want to send the mail to, it could be @yahoo.com, @gmail.com etc and type the body of the message you want to send and press the “Send” button to send the message. 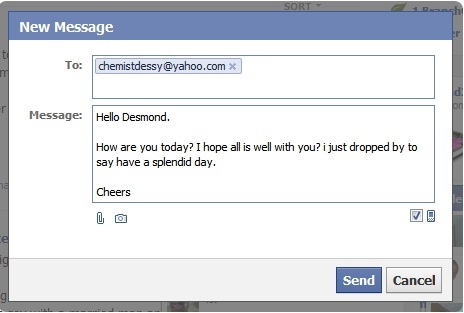 Now the recipient will receive the email straight to his yahoo inbox. See the image below for confirmation. Note the “From”and “To”fields. 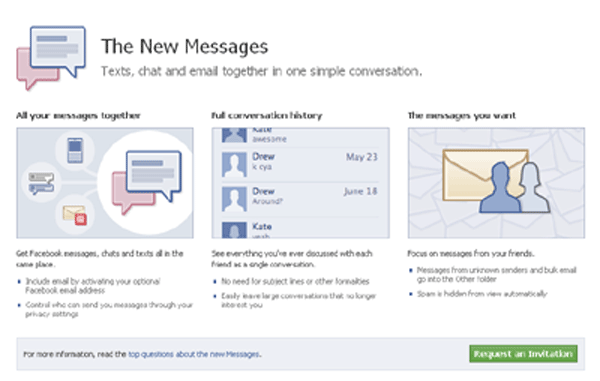 Now i hope you can send email messages from your Facebook email to any other email networks. I hope you find this post interesting and useful. Please share this post with your friends using the share tools on the left hand side of the browser or the ones under this post. Please if you haven’t liked our Facebook page simply click on the “Like” button on the right hand side of the browser. You can also follow us on Twitter right under the Facebook page. If you like this blog posts Subscribe to NetMediaBlog Feeds by Email so you can be getting more of my posts on your email even when you are offline. Can Social Media Help My Site’s SEO Efforts? Facebook advertising: Is it worth investing in?